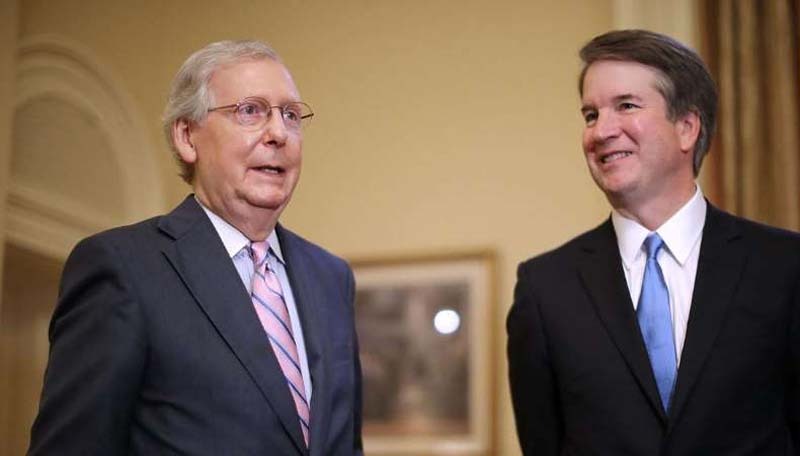 Senate Majority Leader Mitch McConnell took a key step to advance Brett Kavanaugh's nomination to the Supreme Court on Wednesday, saying on the Senate floor that "this evening, the Senate will receive the results of the FBI supplemental background investigation" into the allegations against the nominee. Senate Republicans now need a simple majority for a vote to end debate on the nomination, which is expected to take place on Friday. If Republican lawmakers clear that hurdle, the Senate can then advance to a final confirmation vote on Kavanaugh's nomination. The FBI inquiry began last week at the direction of the White House after Republican Sen. Jeff Flake of Arizona -- a key vote on the nomination -- called for it with the backing of Republican Sens. Lisa Murkowski of Alaska and Susan Collins of Maine. Flake's request followed wrenching testimony from Christine Blasey Ford, the first woman to go public with an allegation against Kavanaugh, who testified in front of the Senate Judiciary Committee that he sexually assaulted her at a social gathering during their high school years in the early 1980s. Kavanaugh also testified before the committee -- and vehemently denied the allegation.